Would you like to know more about LoRaWAN? The advantage of LoRa is clearly visible in its name: LoRa stands for the long range of the radio technology. A LoRa network can thus cover large areas at low costs. The range of a single gateway strongly depends on the conditions and obstacles of the location – with optimal conditions signals can be transmitted over up to 20 km. In addition, LoRaWAN has a very good building penetration. The small amount of data involved in transmitting LoRa sensor data to the gateways enables a battery life of up to 10 years. Due to the low energy consumption, LoRa sensors are very effective in areas without power supply. With LoRaWAN, data transmission is twice end-to-end encrypted and uses the highly secure Advance Encryption Standard (AES). The topic of data security was embedded firmly in the core of the LoRaWAN standard by the LoRa Alliance. 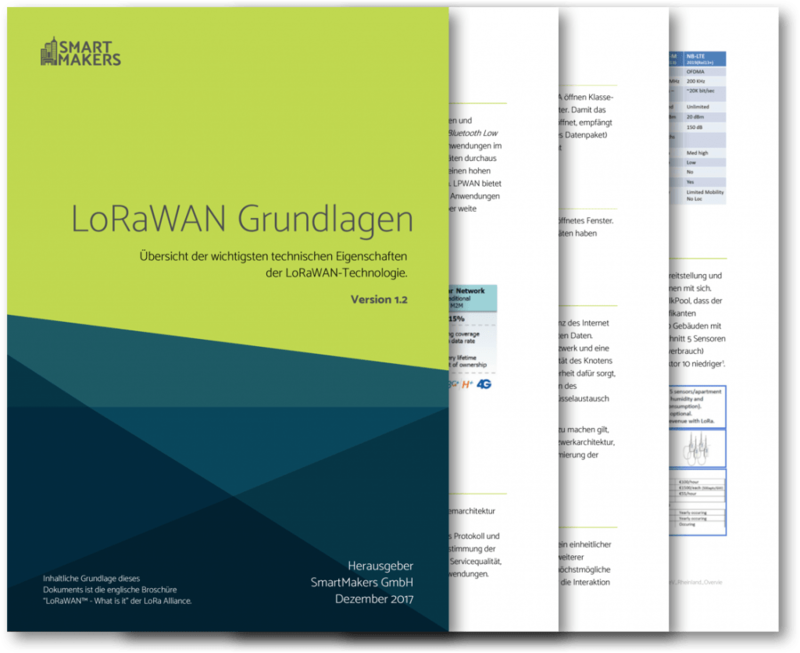 Our 11-page White Paper “LoRaWAN Basics” explains the basics of the technology in an easy and comprehensible way. It also compares LoRaWAN to other wireless network technologies.